We've been working with Sunshine.co.uk for many, many years now and it never fails to make us smile that we consistently get great coverage for them week by week. 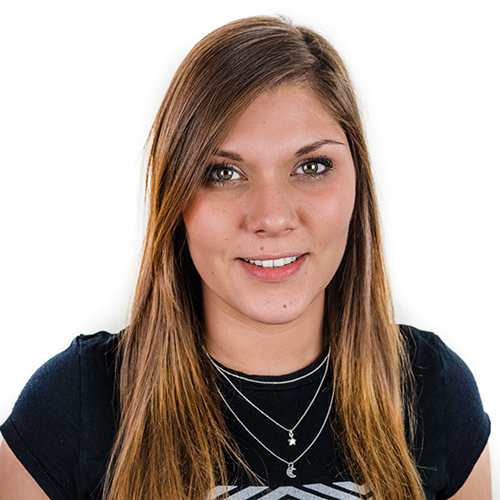 One of our roles for Sunshine is to provide fantastic late deals to travel journalists in the hope that they'll find them of interest and think that their readers may be interested in them too. Yesterday we saw that an awesome deal to Mexico, for just £616.94pp, got coverage within the Sunday Mirror for travellers to fly out on November 12th. Sods law that just so happens to be the week after my week off for annual leave, as is always the case. The only travel agency also regularly undertake travel-based surveys, with one of the recent ones revealing that half of British parents with children aged 4-16 years old plan to take them out of school during term time to take them on holiday. 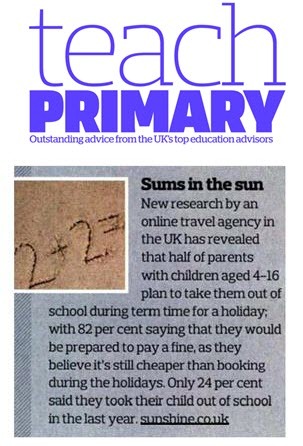 This generated some great coverage in Teach Primary, and whilst only 24% admit they did this last year, 82% say they'd happily pay a fine as they believe the cost of the holiday and the fine would cost less than if they were to holiday during school holidays. Well, with the recent news about one man winning a legal battle for a school attempting to prosecute him for taking his child on holiday during term time, who knows what will happen with the current situation.